LEDLights™ designs and manufactures a wide variety of lights, many of which are necessary to prevent catastrophic accidents. The state-of-the-art optical and electronic technology found in each of these American-made products results in superior protection for those who use them. 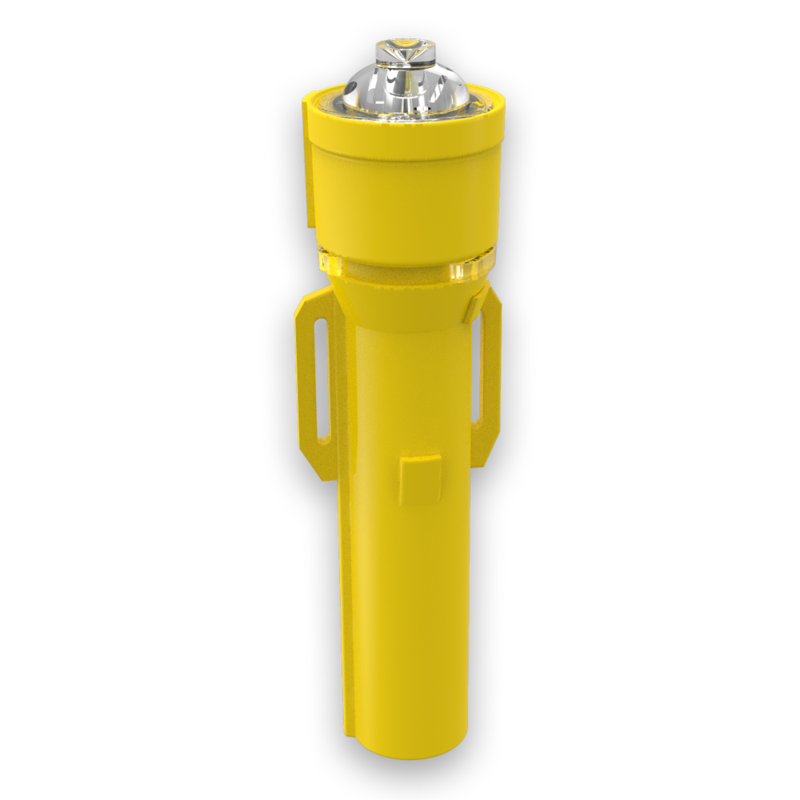 LEDLights™ provides highly efficient boat work lights, lights for drift nets, boat wake lights etc. Select from the categories below to determine if an existing product can improve the safety or efficiency of your organization. Model 4116 BeastBar™ Spreader Light Kit is is designed with your safety in mind. This Kit includes two High Powered, State-of-the-Art, Waterproof LED Spreader Lights that produce 1,650 Lumens each, making it easy to cut through the night in comfort knowing you can be easily seen. Model 5050 BeastBeam MT™ Multi-Task LED Flashlight with Side Strobe including Bezel Control, 120 Lumen White LED, Waterproof, Dual Intensity, Single or Dual Color Side Strobe and 3 ''AA'' Batteries. Model 2402 BeastBeam™ Exterior 12v DC Vehicular Warning Light for Fastening to a Flat Surface with Adjustable Bracket for UP/DOWN/LEFT/RIGHT aiming including (4) Powerful LEDs, (8) Flash Patterns, Synchronized Flashing when used with similar Model lights, Single or any Two Color Light Beam, Stainless Steel Fasteners, Waterproof Housing and 4 ft. Wire Leads for Hard Wired Installation. Model 2602 BeastBeam™ Exterior 12 Volt DC LED White Steady Beam Work/Area Light with Double Seal For Underwater Fastening to a Flat Surface with Adjustable Bracket for UP/DOWN/LEFT/RIGHT aiming including (4) Powerful LEDs normally emitting Steady White Light Beam but available emitting other Colors, Stainless Steel Fasteners, Waterproof Housing and 4 ft. Wire Leads for Hard Wired Installation. Model 2604 BeastBeam™ Exterior 12 Volt DC LED White Steady & Flashing Warning Light for Fastening to a Flat Surface with Adjustable Bracket for UP/DOWN/LEFT/RIGHT aiming including (4) Powerful LEDs normally emitting White Light Beam but available emitting other Colors, Stainless Steel Fasteners, Waterproof Housing and 4 ft. Wire Leads for Hard Wired Installation. Model 2600 BeastBeam™ Exterior 12 Volt DC LED White Steady Work/Area Light for Fastening to a Flat Surface with Adjustable Bracket for UP/DOWN/LEFT/RIGHT aiming including (4) Powerful LEDs normally emitting White Light Beam but available emitting other Colors, Stainless Steel Fasteners, Waterproof Housing and 4 ft. Wire Leads for Hard Wired Installation. Model 5010 BeastBeam™ LED Flashlight includes Thumb Switch Control, 120 Lumen LED, Waterproof, Dual Intensity and 3 ''AA'' Batteries. Model 5000 BeastBeam™ LED Flashlight includes Bezel Control, 120 Lumen LED, Waterproof, Dual Intensity and 3 ''AA'' Batteries. Model 5060 BeastBeam MT™ Multi-Task LED Flashlight with Side Strobe including Thumbswitch Control, 120 Lumen White LED, Waterproof, Dual Intensity, Single or Dual Color Side Strobe and 3 ''AA'' Batteries. Model 7200 BeastBeam™ Powerful Steady Beam Waterproof LED Signal Light including Bezel Control, Emitting Amber Light, Loops for 3/4'' webbing, Waterproof to 250 feet, 360° Visibility and 2 ''AA'' Alkaline Batteries. Model 7210 BeastBeam™ Signal Light Powerful Flashing/Steady Beam Waterproof LED Light including Bezel Control, Available Emitting Red, White, Blue, Amber, Green or Infrared Light, Loops for 3/4'' webbing, Waterproof to 250 feet, 360° Visibility, and 2 ''AA'' Alkaline or Lithium Batteries. Model 7240 BeastBeam™ Powerful Flashing/Steady Beam LED Signal Light including Bezel Control, Loops for 3/4'' webbing, Waterproof to 250 feet, 360° Visibility, and 2 ''AA'' Batteries.